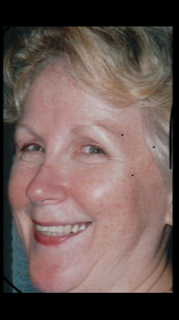 Obituary for Ellen Joyce (Mangan) Cullen | O'Neill Funeral Home, Inc.
Ellen “Joyce” Cullen, 78, of Middleborough, MA, passed away peacefully on the morning of Wednesday, April 3, 2019. Joyce’s family are friends are devastated by her unexpected passing. Joyce is survived by her loving husband of 57 years, Gerard “Brother” Cullen; her children Helena “Nina” Cullen-Hamzeh and her husband Ziad Hamzeh, Denise Miller and her husband Kenneth Mayo, Gerard Cullen, Jr. and his wife Jennifer, Andrew Cullen and his wife Christine, and David Cullen and his wife Sarah. Joyce had many wonderful grandchildren who absolutely adored her: Christopher, Alexander, Sebastian; Mathew; Kyle, Brian, and Maddie; Fiona, her husband John and Kaleb; Xavier and Olivia. Joyce’s sister Sheila Mason, her nieces, nephews, extended family, and countless friends are grieved by her passing. Joyce was predeceased by her parents Helen and Richard Mangan, her sister Margaret “Midge” Smith, and her brother Denis Mangan. Joyce was born on June 22, 1940 in Malden, MA. She grew up in the Old Colony Housing Project in South Boston, and she attended Saint Augustine's School until her family moved into their first house in Somerville. Her childhood friends recount the many times she ran-away from home to be with her besties in Southie. Joyce graduated from Somerville High School, and she maintained connections with her friends from both schools throughout her life. Joyce was married to the love of her life in 1962. She and Jerry owned a home in Jamaica Plain for over thirty years where they raised five children. Joyce was very involved in the church, the girl scouts, and the community. She enjoyed her career in the post office, especially her years as a window clerk in Hyde Park. Joyce loved to travel, play card games, and attend the theater. Her favorite place to vacation was Beaver Cove, Maine, and nothing was more important to her than her family. In 2002 Joyce and Jerry built a new home and a new life at Oak Point. Joyce and her posse enjoyed a busy social life that included shopping, restaurant hopping, and community service. Joyce was an exceptionally kind, generous, and loving woman who made everyone in her presence feel welcome and important. She will be missed terribly by all who knew her. Visitation will be at the O’Neill Funeral Home in Middleborough, MA on Tuesday, April 9th from 4:00 - 8:00 PM. Funeral services will be at Sacred Heart Church on Wednesday, April 10th at 10:00. A private interment will follow at the Massachusetts National Cemetery at Bourne. Family and friends are invited to gather in The Back Ballroom at Oak Point. Light refreshments will be served from 12:00-1:30. Lunch will be served at 2:00.